Bush: Trigger an "Accidental Conflict" as a pretext to justify "Limited Strikes"
Bush Iran War Agenda: Trigger an "Accidental Conflict," as a pretext to justify "Limited Strikes"
Hillary Mann, the former National Security Council Director for Iranian and Persian Gulf Affairs under the Bush Administration from 2001 to 2004, has issued a sober warning to the public today concerning the Bush Administration's intentions with Iran. In an interview this morning on CNN(1), she accused the Bush Administration of "trying to push a provocative, accidental conflict," as a pretext to justify "limited strikes" on crucial nuclear and military infrastructures, as opposed to a large ground war as is the case with Iraq. When asked why the Bush Administration was seeking to do this, she responded that it is a part of Bush's broader agenda for the Middle East to bring about a "democratization... peace and stability", to the region. Of course, one only has to look back to history to see the Bush Administration's real agenda behind confronting Iran. Iran is only one piece of the puzzle in a broader, century long struggle by the US, Britain, and it's Western allies to secure the Middle East’s oil reserves. 1951: Dr. Mohammed Mossadegh succeeds in leading an Iranian movement to nationalize the countries' oil industry, becoming Iran's first democratically elected leader when he becomes Prime Minister as a result from this central issue. 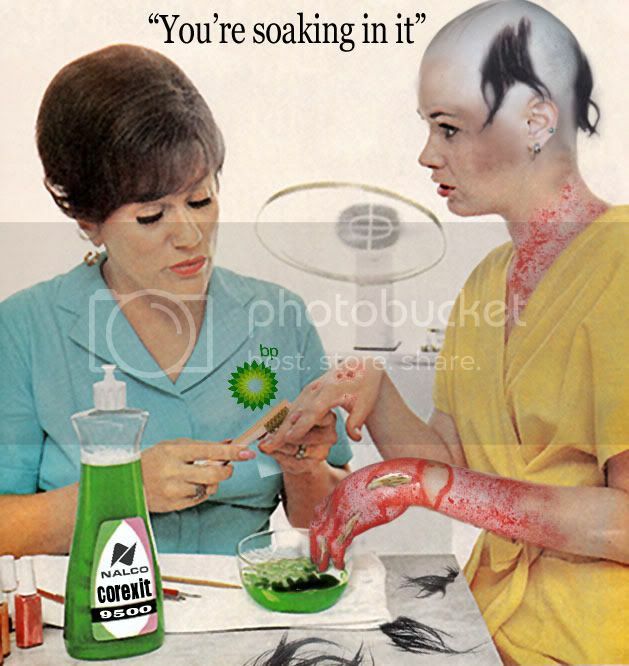 This ends the immensely profitable monopoly that Britain controlled through the Anglo-Iranian Oil Company since 1909, eventually becoming British Petroleum Company in 1954, or more commonly known as BP. 1953: The CIA conducts a series of covert actions under the name "Operation Ajax" (TP-AJAX), aimed at overthrowing Mossadegh to replace him with a friendlier US dictator. The tactics employed by the CIA include controlling the countries national newspapers to mislead the public with false propaganda, bribing government and military officials to gain allies against Mossadegh, funding opposition parties with money and weapons, controlling and organizing mobs and protests, and also distributing fake flyers made by the CIA that people thought were made by Mossadegh's government which said things like "UP WITH COMMUNISM" and "DOWN WITH ISLAM". After an initial failed coup attempt, a mob organized by the CIA is successful in ousting Mossadegh. 1953 to 1979: After their successful coup, the CIA re-installs Iran's exiled Shah, Mohammad Reza Pahlavi, who is very friendly to the West and it's allies, once again ensuring a monopoly over Iran's oil fields for the West. Under the Shah's bloody reign, thousands of political opponents and innocent people suspected of being dissidents were rounded up by the Shah's CIA trained secret police, SAVAK, and put into their secret prison to be extensively tortures. SAVAK also assassinated countless political opponents and government officials to ensure the Shah's and the West's control over Iran. 1979 to Present: The CIA and their puppet government in Iran is thrown off by the Islamic Revolution that envelopes Iran, leading to the overthrow of the Shah and his government. This allowed Ayatollah Khomeini to return to Iran after years of exile, who would lead the Islamic Revolution of Iran that resulted in him becoming Supreme Leader of Iran. This once again ends the West's control over Iranian oil fields, and also their access to Iran's oil since they now refuse to do business or cooperate with the West. Hillary Mann joins the ranks of a growing consensus of both former and current officials in various government, military, and intelligence agencies, who all agree that the US is actively involved in attempting to lure Iran into launching an attack on US forces, or worse. Jim Webb, the freshman from Virginia who’s election day victory tipped the Senate in the Democrats favor, appeared on “Hardball with Chris Matthews”(2) five days ago echoing the same warning given by Hillary Mann. “If you look at the framers of the constitution, they wanted to give the president as commander in chief the authority to repel sudden attacks. That is totally different than conducting a preemptive war. “And you know one thing, if you look at where we are in the Persian Gulf right now, when I was secretary of the Navy and until very recently, we never operated aircraft carriers inside the Persian Gulf because, number one, the turning radius is pretty close, and number two, the chance of accidentally bumping into something that would start a diplomatic situation was pretty high. Zbigniew Brzezinski, the former National Security Adviser under the Carter Administration from 1977 to 1981, came out on February 1st to testify before the Senate Foreign Relations Committee(3), blasting the Bush Administration’s handling of the war. “Our growing naval presence in the region and our harsh rhetoric toward Iran are unsettling. Securing the Horn of Africa and sending Ethiopian troops into Somalia do not bode well for world peace. Yet these developments are almost totally ignored by Congress. “Rumors are flying about when, not if, Iran will be bombed by either Israel or the U.S.-- possibly with nuclear weapons. Our CIA says Iran is ten years away from producing a nuclear bomb and has no delivery system, but this does not impede our plans to keep ‘everything on the table’ when dealing with Iran. “We should remember that Iran, like Iraq, is a third-world nation without a significant military. Nothing in history hints that she is likely to invade a neighboring country, let alone do anything to America or Israel. I am concerned, however, that a contrived Gulf of Tonkin- type incident may occur to gain popular support for an attack on Iran. “Even if such an attack is carried out by Israel over U.S. objections, we will be politically and morally culpable since we provided the weapons and dollars to make it possible. “Mr. Speaker, let’s hope I’m wrong about this one." The “contrived Gulf of Tonkin- type incident” that Congressman Paul mentioned is his speech is one of many modern historical examples of false flag terrorism used by governments around the world to justify an illegitimate war to a terrified public, willing to accept whatever in the name of security. Here’s a list of a few historically accepted examples of false flag terrorism, showing that the Bush Administration’s plans to provoke an attack from Iran is nothing new, but a common occurrence with a lot of precedent(5). 1846: Mexican-American War: President James K. Polk sends General Zachary Taylor and 1,500 American troops to the Mexican border along the Nueces River, where he is ordered by the President to cross over into disputed territory to bait Mexico into attacking. They quickly fell for the bait and were easily repelled by US forces. Polk took advantage of this single, miniscule conflict to get Congress to declare war on Mexico and to mobilize public support for the war. 1898 - Spanish-American War: The US sinks it's own battleship, the USS Maine, in a harbor in Havana and blames it on Cuba. Newspapers, under the guise of the US government, help sensationalize the story to bolster public support for war against Cuba. 1915 - Sinking of the Lusitania: German submarines are blamed for sinking the RMS Lusitania, a British ocean liner. What the public wasn't told is that all the passengers on board the Lusitania were merely human shields to protect a shipment of US ammunition headed towards Great Britain during WWI, which is why the German's sank the ship. Many historians believe that Britain meant for the Lusitania to be attacked to get the US on their side in WWI by baiting Germans into sinking it, or that they might of sunk the ship themselves, seeing US involvement in WWI detrimental for not losing. 1931 - Mukden incident: Japanese officers fabricate a pretext for annexing Manchuria, which was under Chinese control at the time, by blowing up a section of their own railway and blaming it on the Chinese. 1939 - Gleiwitz incident: The Nazi's fabricate evidence of a Polish attack to mobilize German public opinion, and to fabricate a false justification for a war with Poland. 1939 - Shelling of Mainila: The Soviet Union shells it's own village of Mainila on the Finnish border, faking casualties, and blames the attack on Finland to justify a war. 1962 - Operation Northwoods: A plot authored by the Joints Chief of Staff, the top brass of the Pentagon, that involved scenarios such as hijacking a passenger plane and other staged terror attacks and campaigns that would be used to blame Cuba to mobilize public support for a war. It was never carried out since Kennedy refused to authorize the operation, and was later declassified under the Freedom of Information Act. 1964 - Gulf of Tonkin: President Johnson accuses North Vietnamese PT boats of attacking strike carries in the gulf, the USS Maddox and the USS Turner Joy. Documents and tapes released due to the Freedom of Information Act shows that President Johnson knew that there were no PT boats and no attacks, but still went ahead with lying to the American public on national TV to garner support for escalating the war in Vietnam. 1970's - Operation Gladio: Italian secret service agencies, under the training and direction of CIA and NATO forces, launch countless staged terror attacks that kills thousands and are used to blame leftist opposition groups and scare the public into supporting the right wing government.